I have named this piece "Imperfect": it is made of bits and pieces, just as any life is, and speaks of uniqueness. It whispers that we do not have to "measure" everything about ourselves, our lives, our bodies, our jobs... It is about daring to fly away from "standards" and acknowledging our own unique, beautiful, precious, imperfect self. 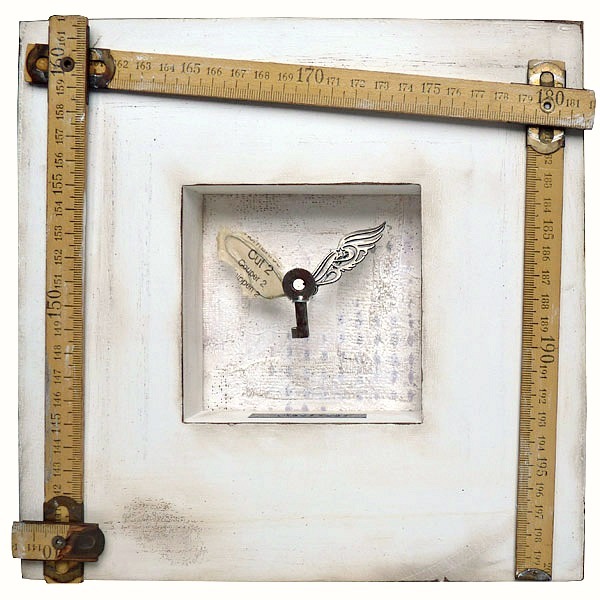 It's been a while since I didn't post any addition to my "winged keys" assemblage series. Here is the latest one, "Hypothesis", and a little flashback to all the previous ones (links are included if you feel like reading their various stories). "Art, if necessary" was the first of the series (although I didn't know at the time that I would be making several others). 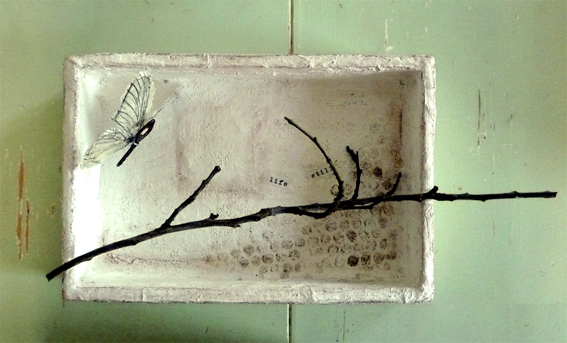 It has the basic elements that have been consistent through the series : a plaster "container", a vintage key, wings, white and natural tones. 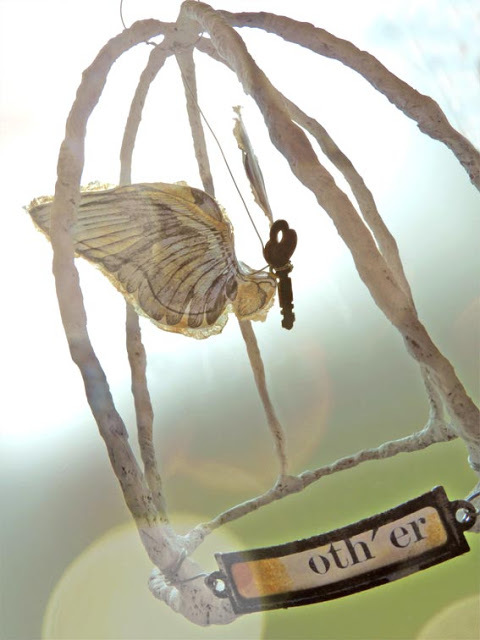 "Other" was the second one in the series, this time with the wings of a bird (a vintage print) and a cage as the container.